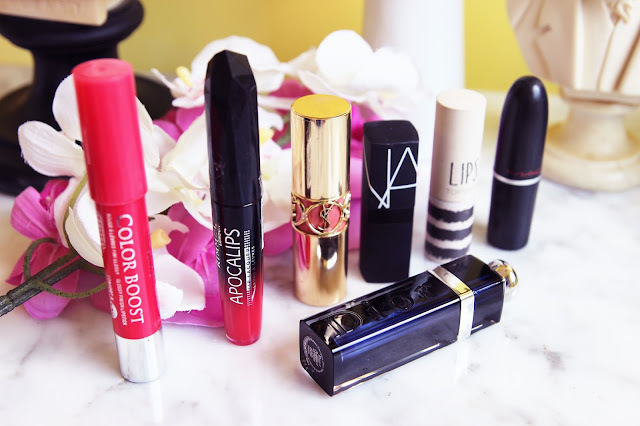 This blog post features the lipsticks that I tend to grab for recently. When I pick a lipstick I usually go for color (first), hydration (second) and finish (third). For the Summer, there's nothing better than a peachy pink lipstick to complement the sunshine with, yet from time to time I also reach for products that have a longer-lasting power (Rimmel Apocalips Lip Lacquer) or something quick as I'm heading out the door (Bourjois Color Boost Glossy Finish). A hydrating formula may come in handy on those days when my lips tend to be flaky and dry (YSL Rouge Volupte) and a sheer but buildable bright lip screams 'young and bold' (MAC Pink Pearl Pop). 3. 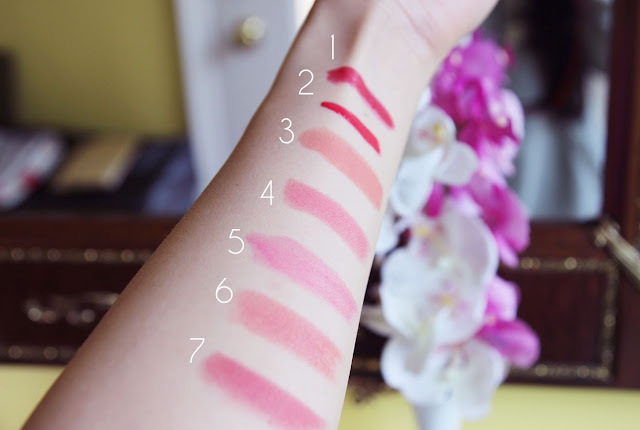 YSL Rouge Volupte Lipstick (30) - MY ALL TIME FAVORITE! 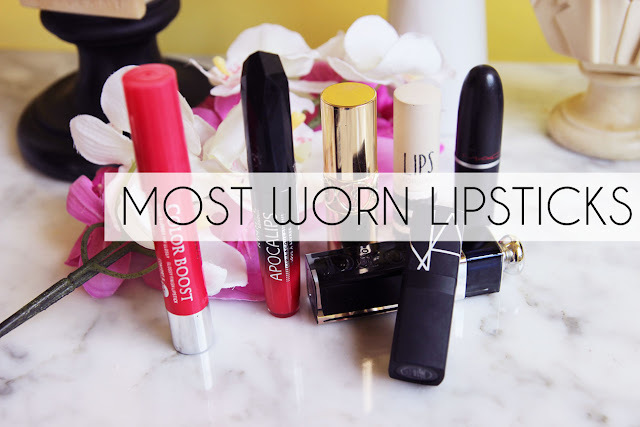 So those are my most worn lipsticks! Let me know if you like the 'Most Worn/Most Used' series so I can continue to do more of these in the future!